Donna has a BSc (hons) in Sports Therapy from the University of Northampton. She has extensive experience with athletes ranging from professional to amateur. She started the unique sports injury clinic in 2010 and since then it has gone from strength to strength. She brings with her the most up to date techniques and works hard to reach her clients goals. 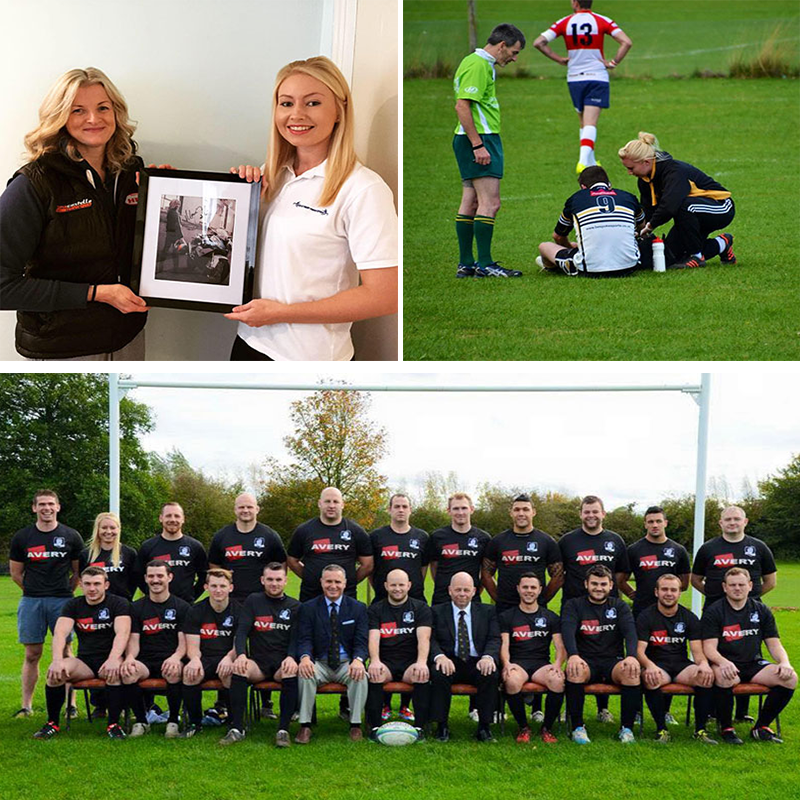 Donna joined Rushden and Higham RUFC as the clubs Sports Therapist in 2011 providing treatment and rehabilitation at training and matches. She works with all ages at the club and enjoys the team side along with working privately. Donna is a keen sports woman herself competing in ladies’ football at a very high level, she uses her own experiences to help understand and treat patients. She suffered a devastating injury in December 2015 rupturing her Anterior Cruciate Ligament and medial meniscus within her knee. She therefore can sympathise with others who may be struggling with an injury both mentally and physically. In August 2016 Donna opened her own therapy centre, Wollaston Therapy Centre. Her business has grown extremely quickly requiring more space for her and Georgia. She can now offer more from sessions at Wollaston, due to there being a specific injury rehabilitation room for clients. Donna is very pleased with the move to Wollaston with business booming, she now over see’s the smooth running of Wollaston Therapy Centre as the Centre Manager along with treating various clients. 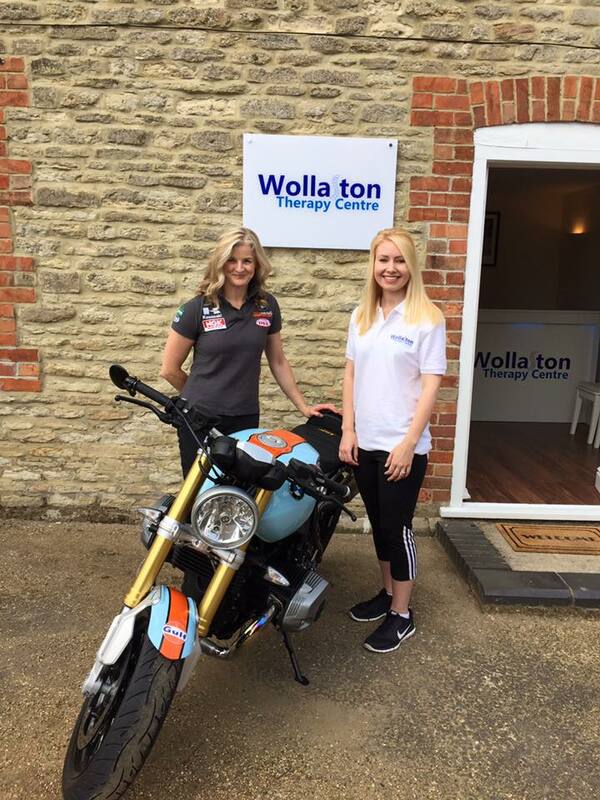 International Motorcyclist Maria Costello MBE and Donna Riding on the opening of Wollaston Therapy Centre. Georgia graduated in 2014 with a BSc (hons) in Sports Therapy from Coventry University. Whilst at university Georgia provided pitch side first aid to a number of different sports including football, rugby and netball. Georgia was also a part of a student led clinic at Coventry University which offered free injury assessments and treatments to the public where she gained essential experience in treating clients of all ages. In 2013, Georgia provided post-race massages to runners of the Brighton and London marathons. After completing university, she went on to become the sports therapist for AFC Rushden and Diamonds U21s. During her time at AFC Rushden and Diamonds she was able to work alongside other sports therapists and sports rehabilitators through which she learnt valuable skills. 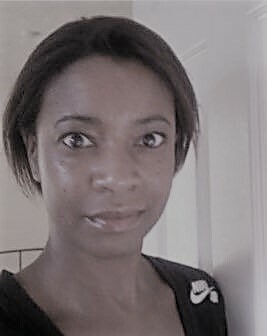 In August 2015, Georgia became Head Sports Therapist at Rugby Town Football Club where she provided first aid, injury advice, treatment and personal rehabilitation programmes. 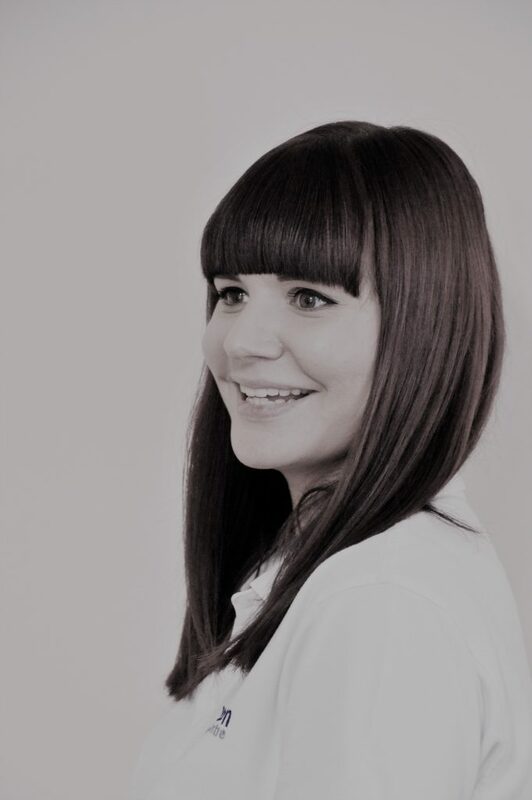 Georgia joined the team at Bespoke Injury Management in November 2015 and has grown in confidence. Since joining the team Georgia has gone on to obtain a qualification in Pregnancy Massage and Hot Stone Massage. In November 2016 Georgia also became Assistant Manager of Wollaston Therapy Centre. Elaine has Specialist Personal Training background led her to a degree in Sports Therapy at the University of Northampton, where she is about to start her final year. 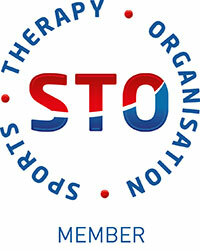 Treatments available include Injury assessment, diagnosis and rehabilitation. This also extends to deep tissue massage, postural assessment and pain management. Elaines heart felt passion and reward is to be party to an individual’s progressive journey back to physical fitness, health and wellbeing. 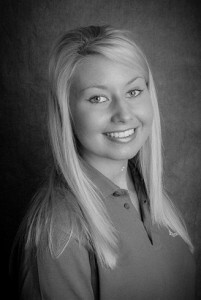 She is also entering her second season with the Towcestrians Rugby Football Club Sports Therapy Team. Main role focuses on providing Pitchside trauma management, injury prevention and rehabilitation specifically with the Development (2nd) Rugby Team. The players have helped her develop a deeper understanding in the diverse injuries and rehabilitation approaches required within the shoulder, knee and lower back. Since school age, She has participated in variety of fitness related sports spanning athletics and duathlons, to more recently, Crossfit. She continues to teach fitness classes, albeit in a limited capacity, and loves the feeling participants get from exercises and the physical changes they experience.